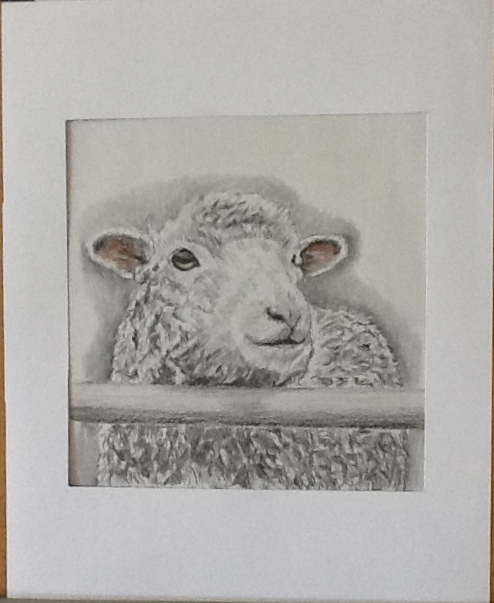 You will see some of my art and photos here, also some of my granddaughter Emily’s are included, too! 1-2-2018 HAPPY NEW YEAR, EVERYONE! 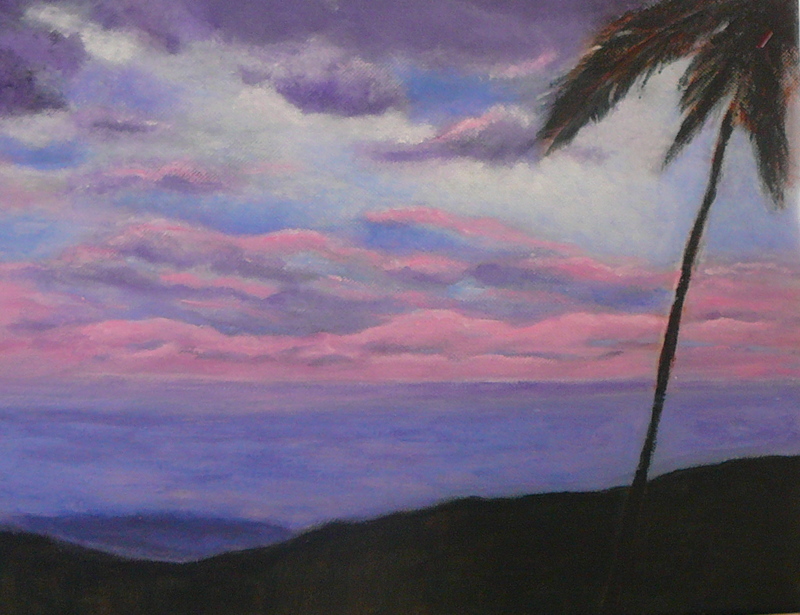 If you’re looking for more of my recent art work, go to http://artwithaloha.wordpress.com This is an art blog site I started a few months ago. ENJOY! 4-17-17 11×14 acrylic. Painted from tutorial willkempartschool.com YOU can learn to paint from Will Kemp’s You Tube videos, too! 3-22-17 You can find anything, even a squash to try to draw or paint! 3-22-17 Italian scene, 11×14 Acrylic paint. From Will Kemp tutorial. 7-1-16 Lava moving toward Pahoa, Hawaii in 2014. Oil painting. 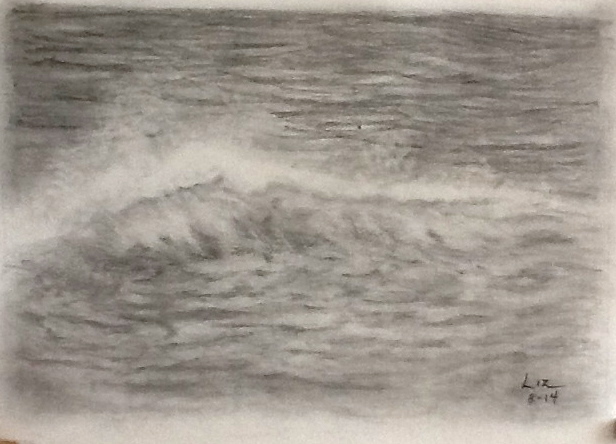 3-7-16 A couple of months ago I saw a photo in the newspaper of a fishing boat in rough seas. I saved the clipping and did my first stormy ocean painting. This was in oil on an 11×14 canvas. 2-9-2016 Here I am on my 75th birthday on Dec. 15, 2015 acting like a tourist in Waikiki. We took the trolley, stopped for a photo, crossed the street to Makino’s Crab House for lunch buffet! 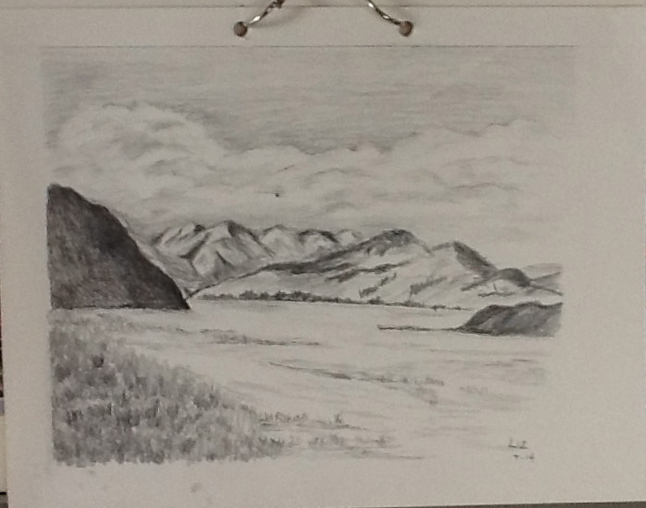 Two pencil drawings of garlic and onion, and a sheep; Pixie at the beach- changed the meadow scene into a beach scene (see 5-5-14 photo). Acrylic paint is very forgiving. 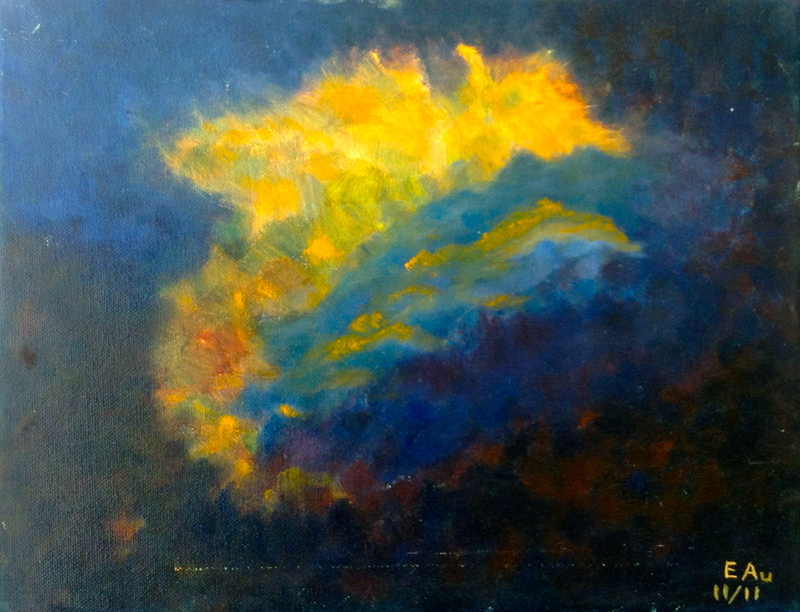 Third photo- a ‘Cosmic abstract’ painting. 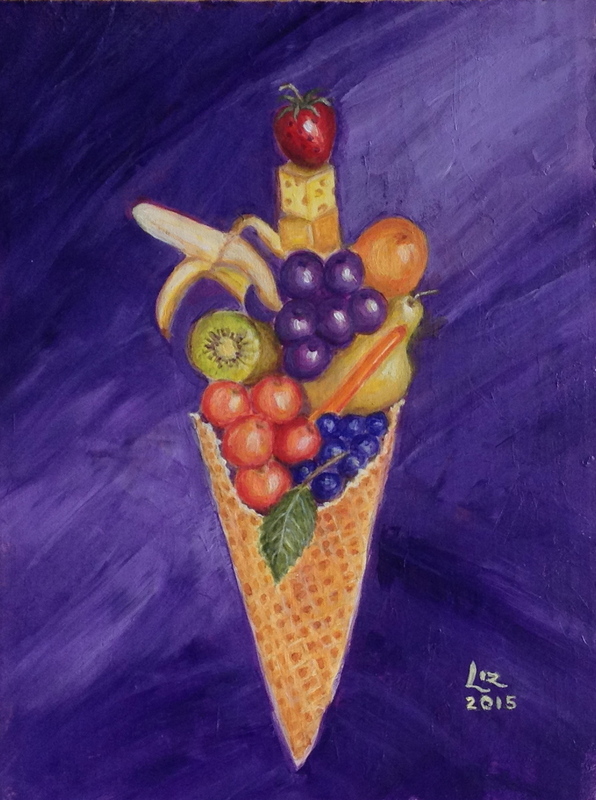 4-27-15 SOMETHING FOR THE ‘HEALTH FOODIE’- Acrylic painting done on 8 1/2 x 11 piece of cardboard for a friend. In case you don’t recognize these: Swiss cheese cube on top of cheddar square, a nectarine, piece of kiwi, and Royal Anne or Rainier cherries, not Bing! Oh, and a mint leaf! 11-20-14 PENCIL DRAWINGS IN GRAPHITE- Sorry, I’m still figuring out how to do the gallery feature correctly! 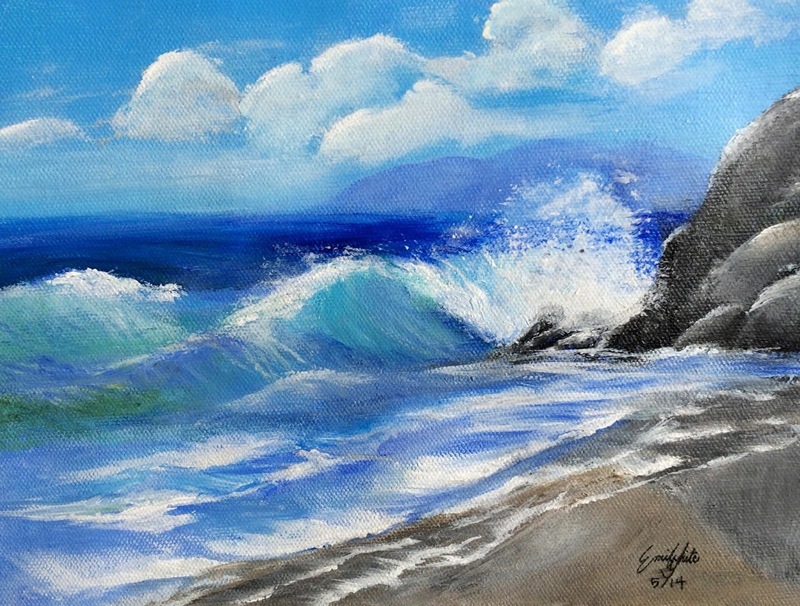 8-13-14 SEASCAPE- ‘A Vacation Getaway’- I attended a Patrick Ching workshop last Saturday and did this 8×10 painting with Genesis Heat Set paints. The paint layers are dried with heat and the final result is a beautiful, smooth finish. 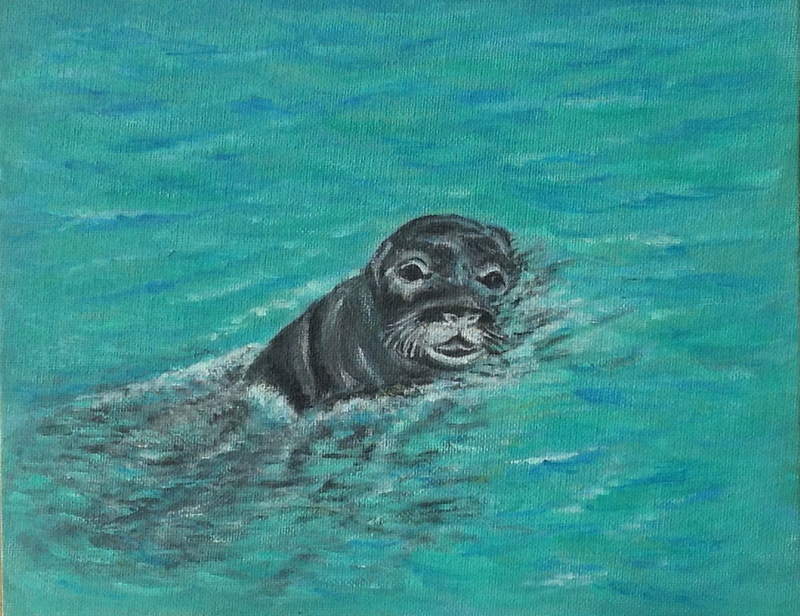 8-13-14 HAWAIIAN MONK SEAL- This was inspired by Patrick Ching when I took a mini class at the Moana Surfrider Hotel in Waikiki where he held an art show last month. I painted it in acrylic paint. Drgold strumming his ukulele and praising the Lord. 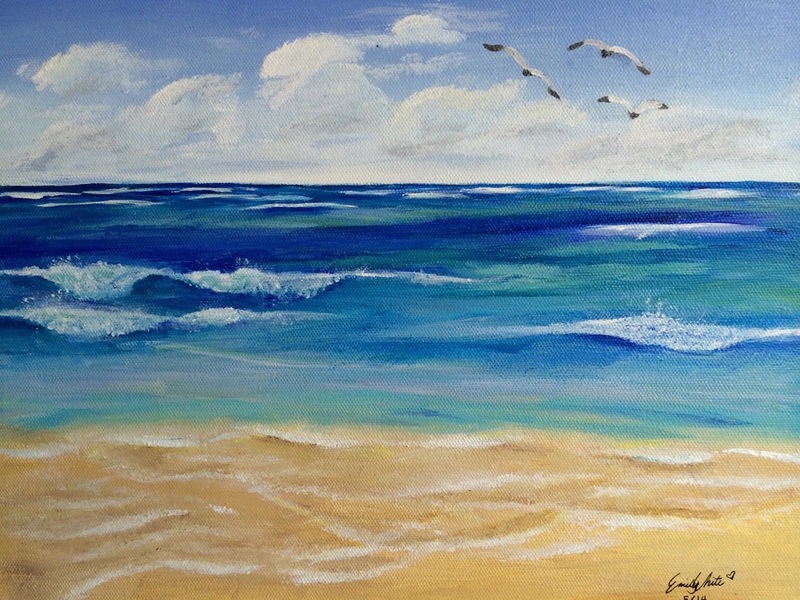 5-28-14 EMILY’S SEASCAPES- My 12 year old granddaughter spent the weekend with me and painted a seascape for her bedroom and one as a birthday gift for her best friend. 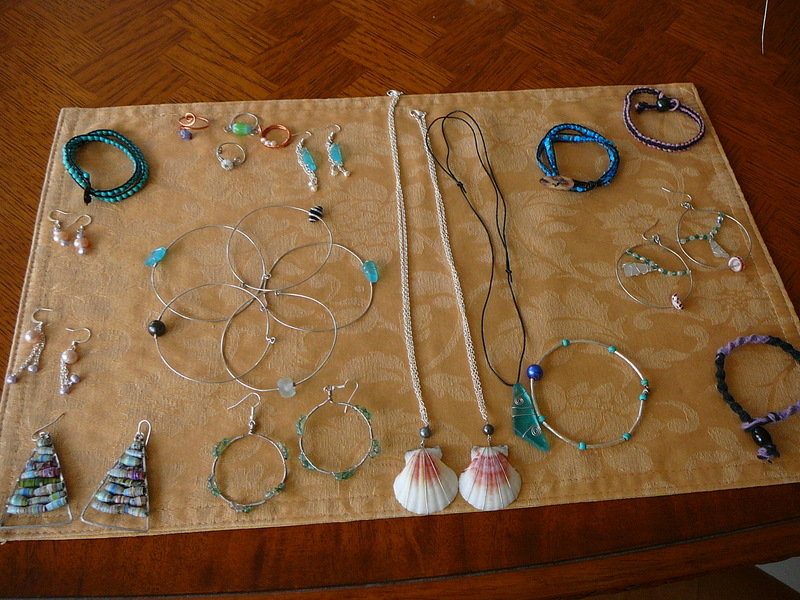 She loves the ocean where she boogie boards and hunts for shells for her jewelry-making. 5-5-14 Tree trimmer- photo taken about 1/2 block away w/zoom lens from my front window on the 6th floor of our condo, tree maybe 80′ feet high. And acrylic paintings of 2 more family pets which I gave away as birthday presents. Trees are trimmed regularly of branches, blossoms and nuts. When the wind blows, he sways with the tree! Pixie, a Yorky, my daughter’s dog. 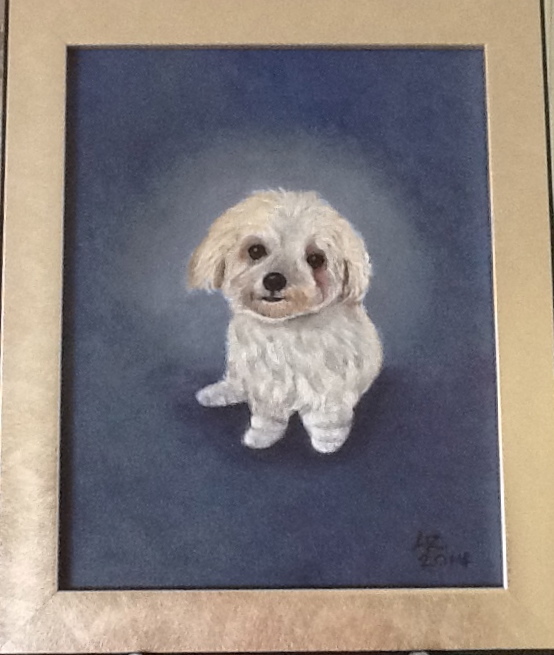 Painted as a Memorial gift of Malu, my son’s dog who recently passed away. I drove from the country to the city on this winding road that was originally a dirt foot path that took a whole day to get over and back home. That was the days of ancient Hawaii. Years later my grandfather went over by horse and wagon from Kaneohe to Honolulu to get farming supplies and staples. When I drove to college on the then paved road, it was still with the old switchbacks, winding and treacherous. That was the year before the new tunnels and highway opened up. I painted a section of the historic bridge where you can see water through the archway from waterfalls. 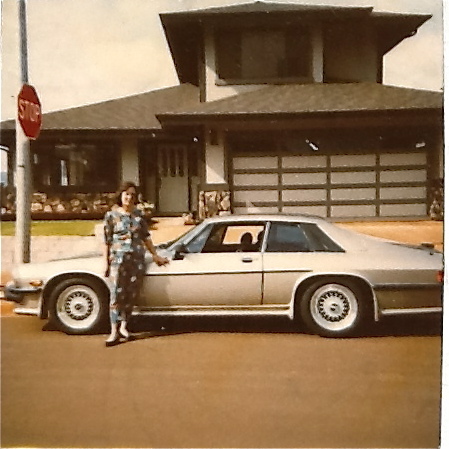 For amazing photos- GOOGLE ‘Old Pali Road History’. 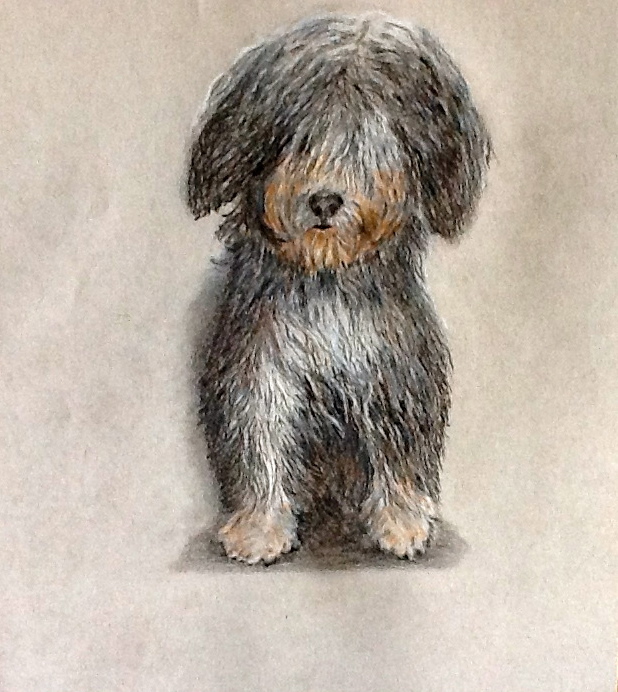 3-18-14 MY HAVANESE GRANDDOG, HOKU, 7 mos. old. 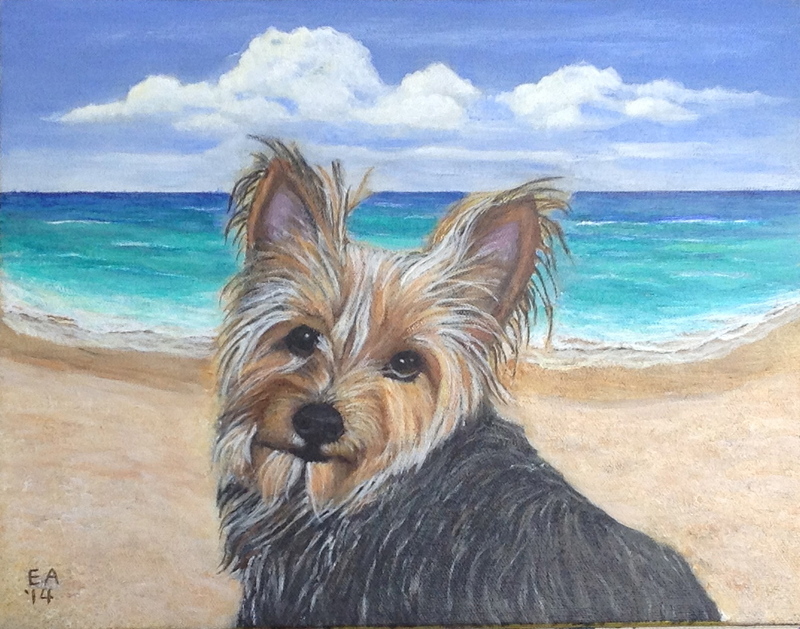 Dog portrait in acrylic paint for my daughter’s birthday. Grandchildren doing some art work. Makapu’u Pt. 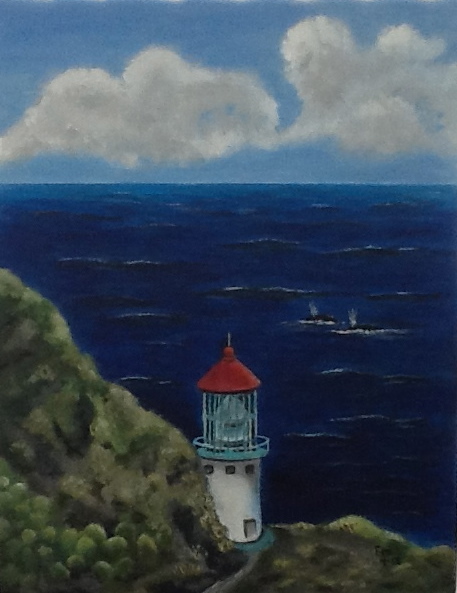 Lighthouse on Oahu, Hawaii during whale season. 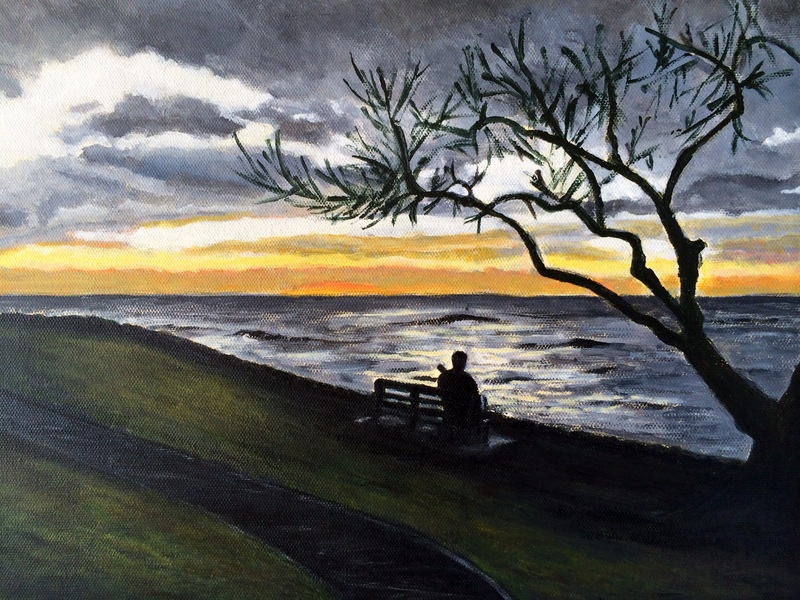 Acrylic painting by Emily. 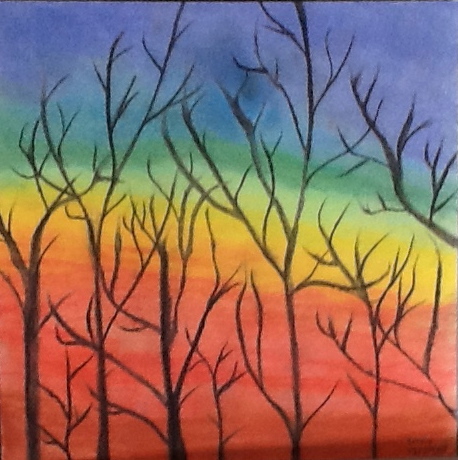 Pastel Painting by Emily which was framed and hung at her mom’s office. 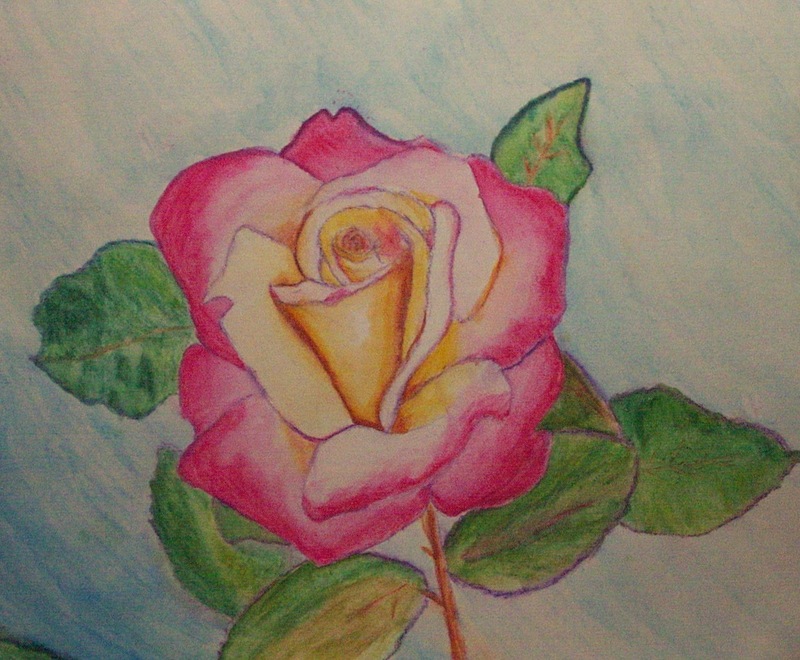 Water color pencil art by Emily. Emily did this drawing while waiting for her ride to school. 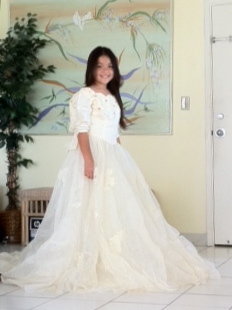 She was busy with craft work last summer. 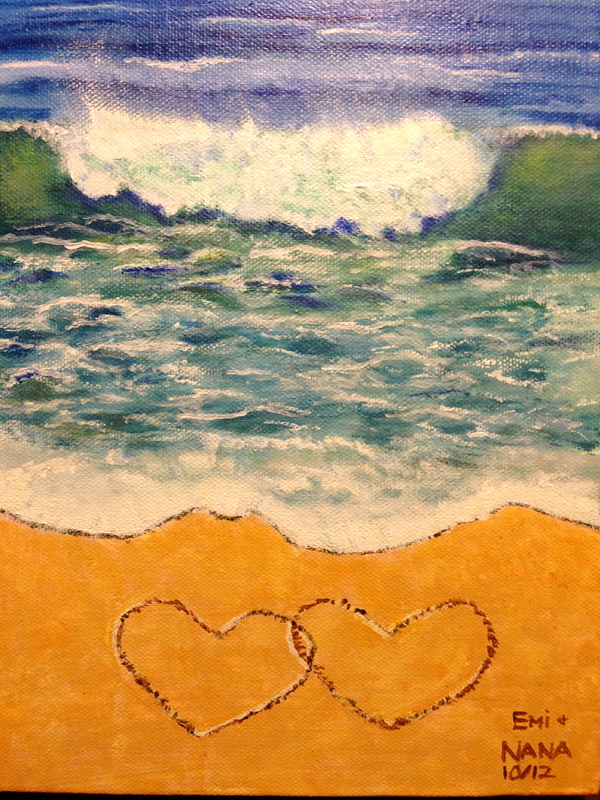 Acrylic painting we did together. 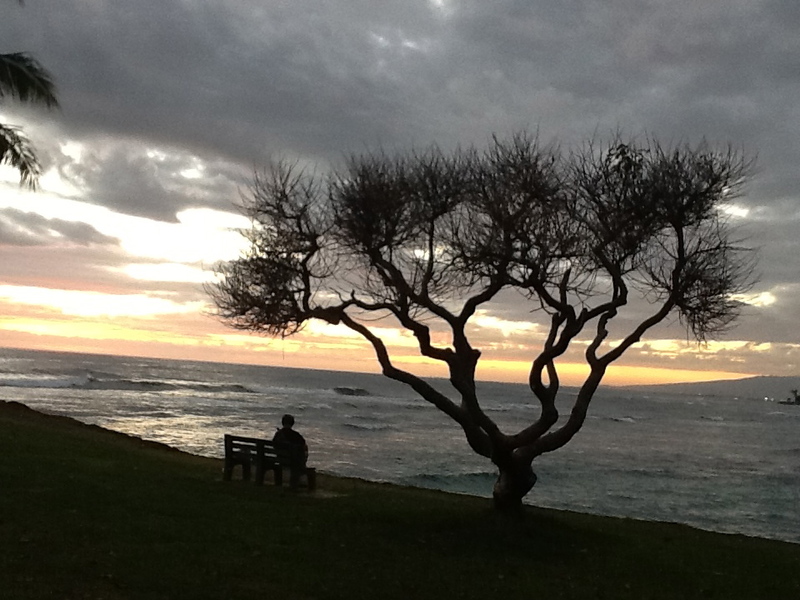 Drgold playing his ukulele and watching the sun go down. 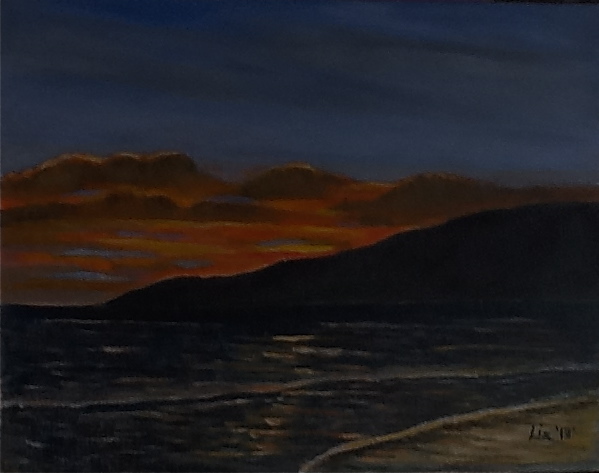 “From the rising of the sun to the going down of the same, the LORD’S name is to be praised.” (Psa 113:3) I did a painting from this photo. 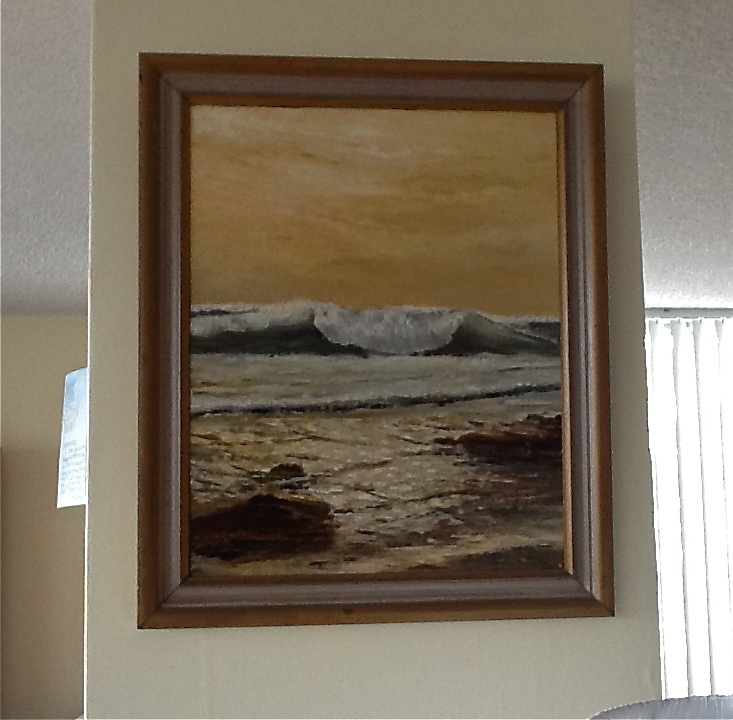 This is a palette knife oil painting done over 30 years ago. 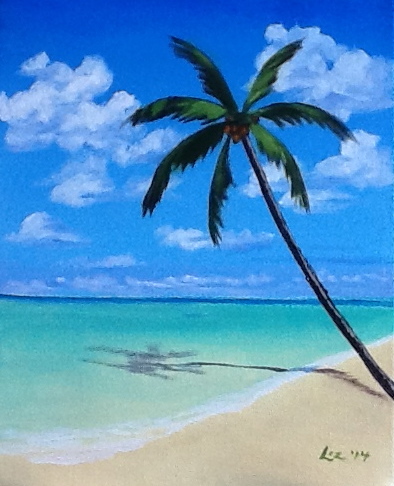 I just started painting again 2 summers ago with Emily- to keep her occupied with constructive activities. 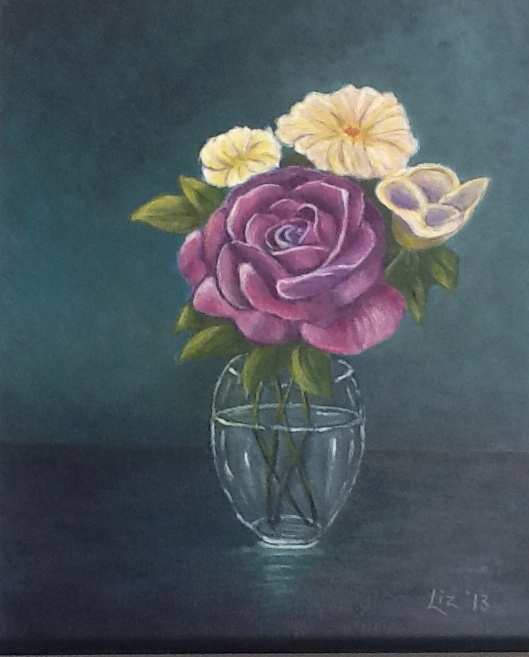 There are many choices of art courses and FREE tutorials on this friendly site from New Zealand. 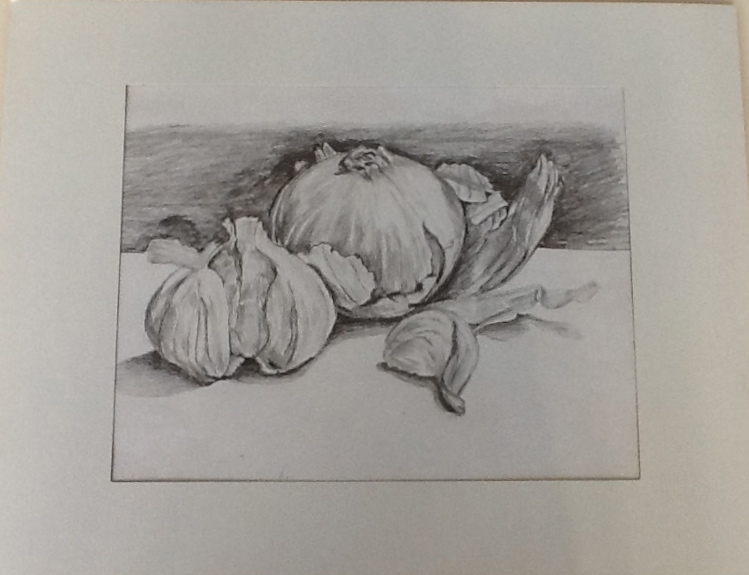 The art courses are reasonable in price and Dennis and Nolan Clark are great teachers! 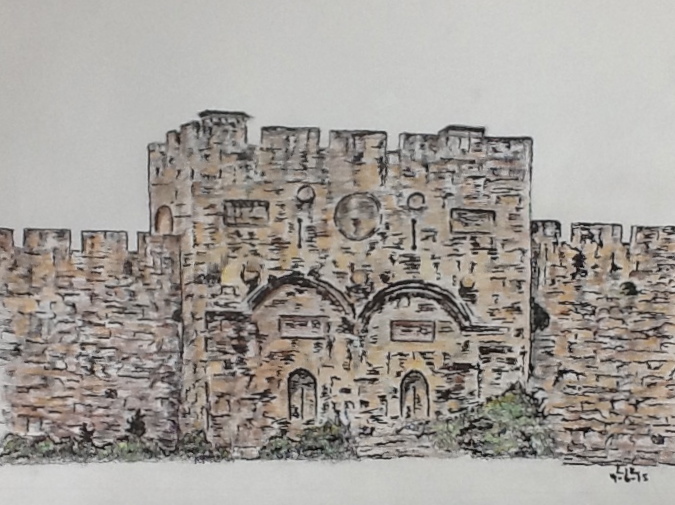 These are my own original drawings. This is HOKU, a Havanese pup owned by my daughter’s family. This is her sister from the same litter. This is HOKU’S brother; they are 3 of a litter of 6. This is MALU, a Labrador mix, my son’s dog. 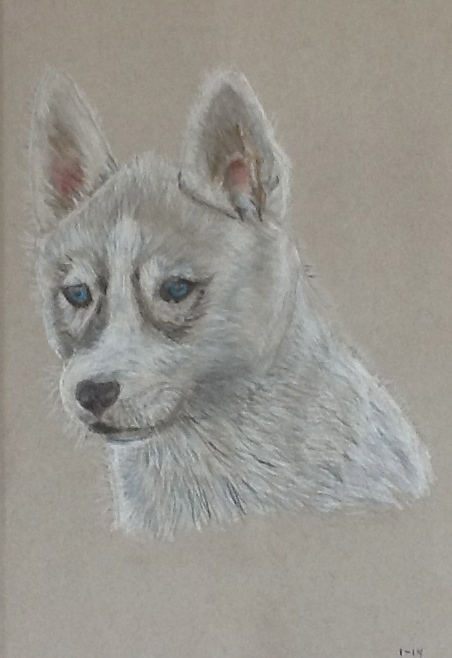 A Siberian husky pup drawn from free photo. 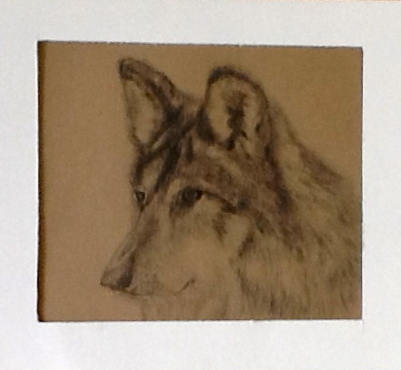 A wolf; also drawn from free online photo. Nice work Liz. Glad to see you’re still doing art. Thanks for coming by, Pat! 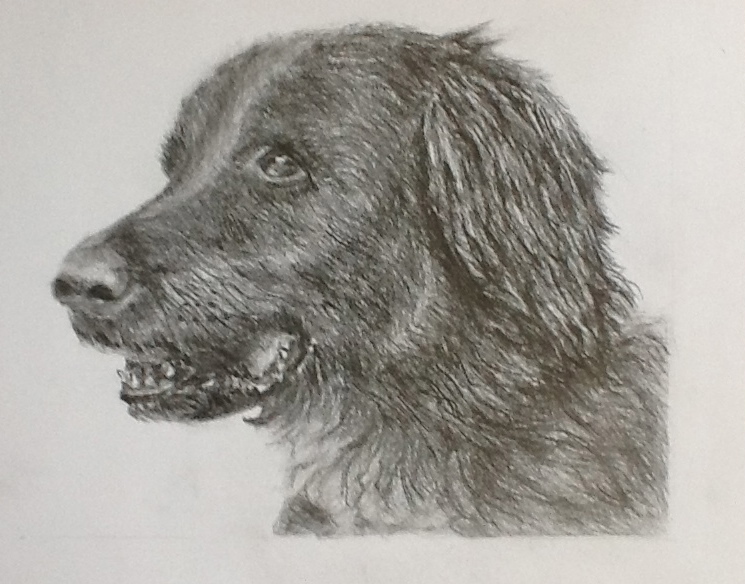 Since I finished that Drawing Dogs course on paint basket.com, I’ve continued drawing, but I’m getting set to paint the family dogs now! Beautiful, beautiful and beautiful!!! I did not Know there was so much talent in your family! 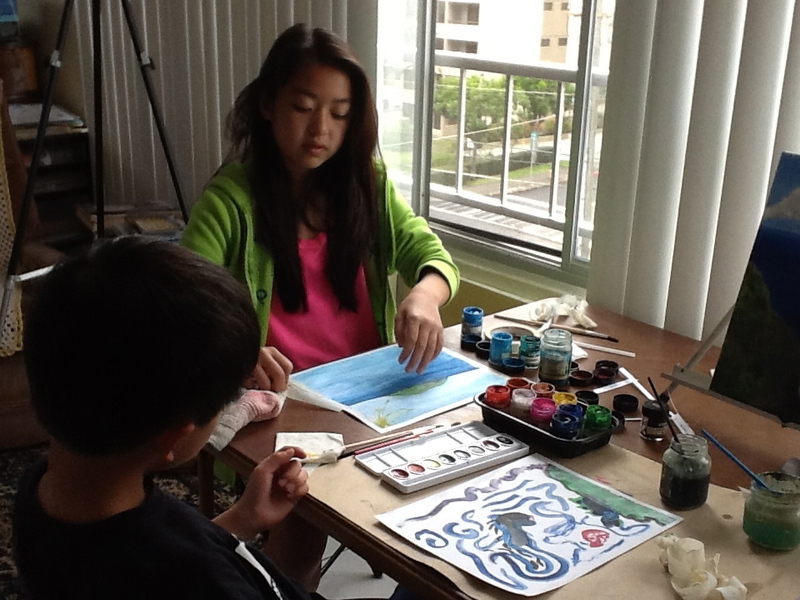 Emily is considering pursuing art as one of her many talents, like her grandmother. 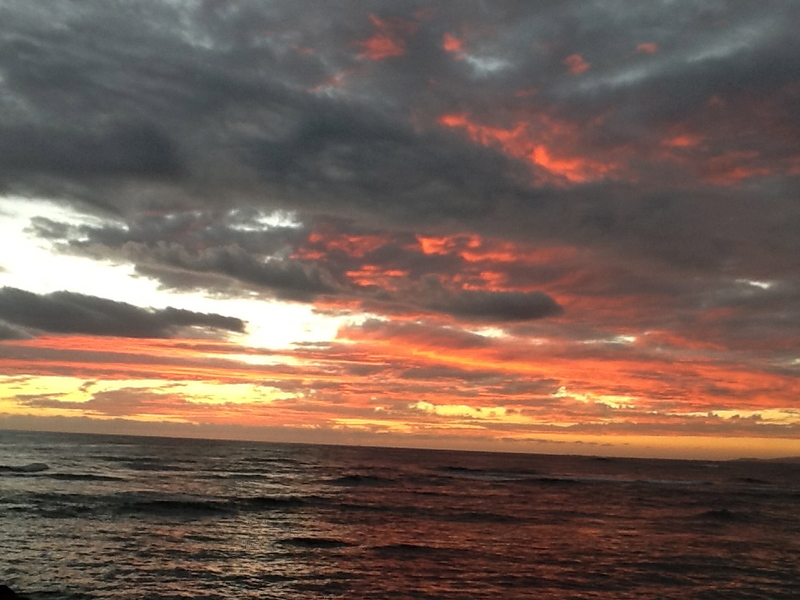 Are the sunsets and sunrise paintings or photographs? Wow Liz I love all your art. 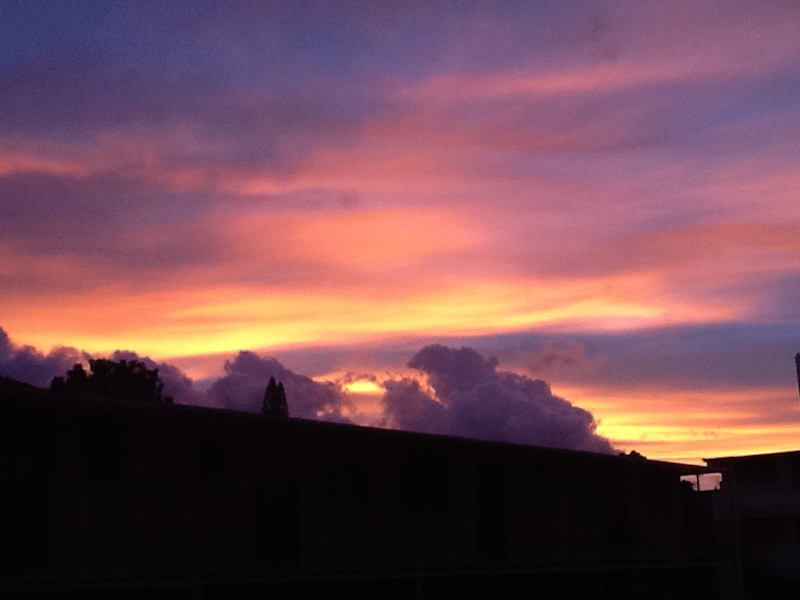 It’s amazing and you sunsets are fantastic. We love the reds for sure! You drawings and paintings are beautiful! 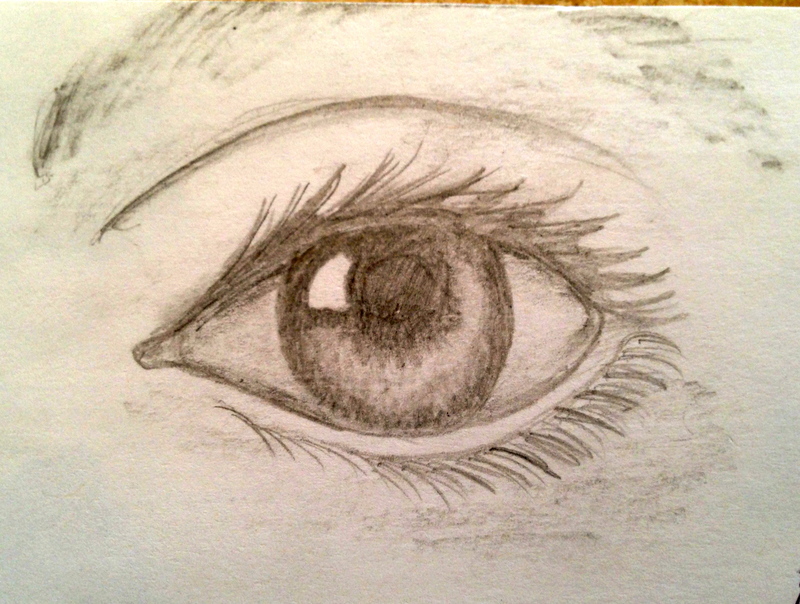 I love to draw. I need to do that more! Glad you could stop by the Gallery! I’ll try to post more photos and art soon! THESE are ABSOLUTELY incredible, Liz! And so nice to see that they are being displayed. I am mostly drawn to the ukelele shot and painting. Good to see you looking around on my blog, Rommel! You just missed my last 2 paintings that I just posted minutes ago! Yes, that shot was incredible, but more incredible was that I was able to paint the whole silhouette, even showing the ukulele my husband was playing! I remember, even after my long hiatus, that I had to go back and see your drawings. I’m featuring one of your images for my #300 post. It will be posted probably next week or the next. So are you based in Hawaii right now, or where exactly? I never understood. 😀 I also love the eye-popping magical sunset. Wow, so happy to get my own sister to check out my blogsite! Blessings, Luv U- M.L.